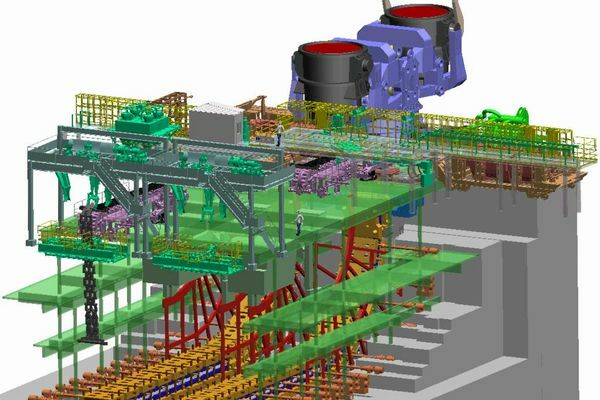 JP Steel Plantech Co. (hereinafter called as “Steel Plantech”) received an order from Nisshin Steel Corporation for the supply of new one strand slab continuous casting machine of vertical bending type to their Shunan Works, which will be major equipment for their refreshment plan of steel making plant. 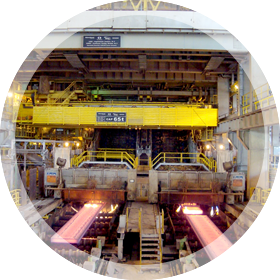 The existing continuous casting machine in Shunan Works has been operated over 40 years, so that it needs to be completely renewed to meet several demands of the stainless market. Steel Plantech will design, manufacture, supply mechanical & electrical equipment, and execute the installation & commissioning work of the whole continuous casting machine. After the very severe competition with European plant builders, Steel Plantech finally could receive this order through the many supply records including existing machines in Shunan Works, and the state of the art technology as well as the cost competitiveness achieved by the fruit of cost engineering which we have worked on over years. We are going to contribute to accomplish this esteemed project successfully along with Nisshin Steel with further reliable relationship to be developing through project execution by utilizing of our technical experience and knowledge. And also we expand sales promotion for new supply and or revamping of continuous casting machine to meet customer’s requirements with strong competitiveness and the state of art technologies from now on. This is a facility for casting molten steel into semi-finished products(slabs) by continuously cooling, solidifying molten steel – which was melted and ingredients adjusted in a blast furnace, electric arc furnace, direct reduction furnace, etc. – and cutting them into given lengths. The casted semi-finished products are then transported to the next process at the rolling facility. The casted semi-finished products can be in various sizes. Those with a thickness of between 120mm-600mm and a width of 700mm or more are called slabs. Final products from slabs include thin plates, thick plates and pipes.